Comics | Fantasy | SciFi | Anime | Pop Culture | Gaming | Cosplay | and More! Vendors will be setting up inside the Neosho Civic Center in Downtown Neosho, MO! Filling out this application does not guarantee a booth. Spaces are limited, so please submit your application as soon as possible! Once we receive and review your application we will send a link for online payment for the booth. The sale of food/drinks/candy is prohibited. Set up will be available Friday February 8 from 4:00 to 7:00pm and Saturday February 9 from 8:00am to 10:30am. ArtCon opens to the public at 11:00am and all booths must be ready to go! I, the Vendor, release and hold forever harmless ArtCon, Neosho Arts Council, the City of Neosho, and all associated volunteers, employees and staff from any liability for all damages to persons and properties resulting from acts of natural, loss, theft, vandalism, injury or medical emergency sustained at the convention. Furthermore: the above mentioned persons, groups, or organizations, shall be held forever harmless from any cause of action, claim or petition, filed in any court or administrative tribunal, arising out of said event, including all costs, attorneys' fees, judgments or awards. I,the vendor, agree to behave in a professional manner at all times that best represents ArtCon and Neosho Arts Council. I also understand that this includes behavior toward Convention Staff, Attendees, as well as other Volunteers; whether it be in person, telecommunications, or online in any way. These agreements cover full setup, run of the show, and tear down. 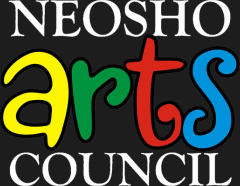 I, the vendor, understand that all work done for ArtCon and Neosho Arts Council is non paid and will not hold ArtCon and Neosho Arts Council or any of its staff, affiliates, or associates liable for compensation. I understand that ArtCon and Neosho Arts Council management reserves the right to make the final interpretation of these rules. I have read and agree to the above statements. By checking the below I am indicating that I have read and agree with the terms and conditions of this application.